There's an informative history of Falsettos on the Lincoln Center Theatre blog. 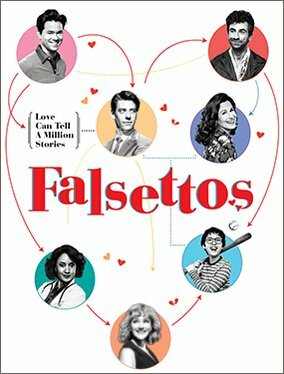 It traces Falsettos' origins, from In Trousers to March of the Falsettos (nee Four Jews in a Room Bitching) to Falsettoland, providing background and context, as well as insight into its significance in famed off-Broadway company, Playwrights Horizons. It does not, however, make me like the show more. 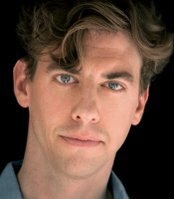 Falsettos, written by William Finn (score and book) and James Lapine (book), focuses on Marvin (Christian Borle), and his desire for a tight knit family. Set in 1979 (act one) and 1981 (act two), we meet Marvin just after he's left his wife, Trina (Stephanie J. Block), and son, Jason (Anthony Rosenthal), to be with his lover, Whizzer (Andrew Rannells). Marvin must navigate his sexuality, relationships, and familial needs, while Trina and Jason figure out how to move forward. 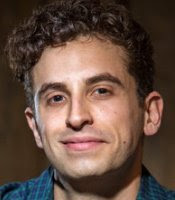 (They'll be aided by Mendel (Brandon Uranowitz), a therapist-turned-Trina's love interest.) In act two, these relationships and the space they explore get deeper and more somber, and we meet Marvin's neighbors, the lesbians next door, Dr. Charlotte (Tracie Thoms) and Cordelia (Betsy Wolfe). I like many of the elements, starting with the cast. 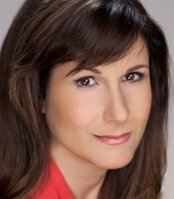 Tony nominee Stephanie J. Block (..Edwin Drood, Little Miss Sunshine) is funny and heartfelt, and gives a tour de force rendition of "I'm Breaking Down." Tony nominee Andrew Rannells (The Book of Mormon), though not often a favorite of mine, does nice work here, presenting Whizzer as smarmy, overly concerned with appearances, and insincere. Betsy Wolfe (The Last Five Years) and Tracie Thoms (the Rent movie) don't have much to do, but they do well with the little they're given. Throughout, the actors move Tetris-like set pieces, continually figuring out how things fit, how they might all live together as each character builds (or rebuilds) their life. (Scenic design in by David Rockwell.) This seems to hint (maybe more than hint) at the significance of the title. Webster's defines "falsettos" as "...artificially produced tones..." Indeed, Falsettos is replete with characters trying to be something they are not, with (mostly) boys learning to be men. It's a struggle for them; as Trina says of the men in her life, "These boys grow up but they don't mature." The new kind of family Falsettos explores isn't as radical in 2016 as it was at the time the various pieces of Falsettos were created and originally produced. A man ending a heterosexual marriage and delving into a homosexual relationship is sort of old hat by now, and the scary beginning of the AIDS crisis, which informs much of the second act's pathos, feels dated. Though it might have been groundbreaking and important in its time (helping it develop a cult following), this Falsettos revival does not add anything to the conversation now, and there doesn't seem to be any urgency to it, a compelling reason to revisit it.